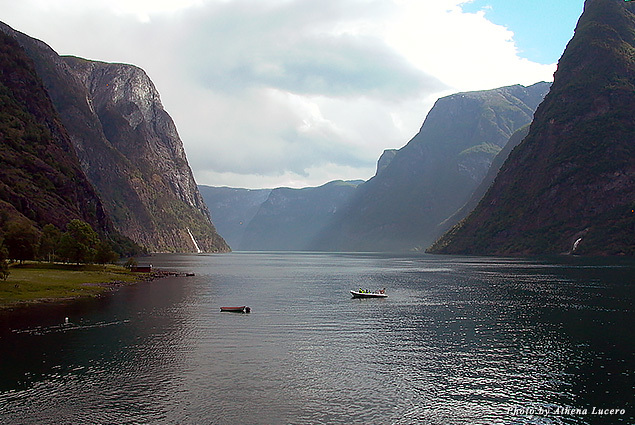 Norway on the Scandinavian Peninsula is synonymous with the fjords that define its wild beauty. When I visited last June, the weather was warm, compliments of the powerful Gulf Stream, and the days were gloriously long because during summer the sun never sets. I got a taste of fjordland, Nordic history and way of life, and a food culture that is simple yet elegant, modern yet true to its roots—a cuisine that is making waves on the culinary radar. My cross-country journey took me from Oslo in the east to the fjord village of Flam and finally to the west coast cities of Bergen and Stavanger. Norway’s long and jagged coastline facing the North Atlantic Ocean and the Barents Sea is a labyrinth of thousands and thousands of islands and fjords—long, narrow, and deep underwater valleys created by glacial retreats during the Ice Age that left behind a tropical mountain paradise of towering cliffs and waterfalls tumbling down to the slender waterways below. Then there are the cities, vibrant and cosmopolitan, sophisticated but never stuffy. In Oslo I treasured the rare chance to visit its City Hall, where the Nobel Peace Prize ceremony takes place each year. And the Maritime Museum and Viking Ship Museum tell visual stories about the Norwegians’ enduring connection to the sea. 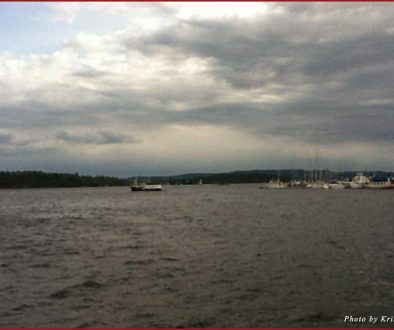 As sailboats bobbed in the harbor and people basked in the sunshine, Oslo seemed more like a resort town rather than the country’s capital and largest city (it has a population of 634,000 inhabitants). 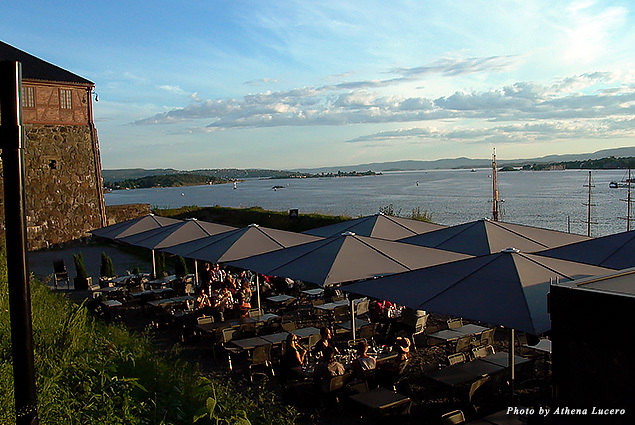 Nearby, the 13th century Akershus Fortress is still a military stronghold—and a hot spot for dining that happened to be around the corner from my hotel, the stylish Grims Grenka. On the edge of the fortress walls sits Festningen Restaurant, a fortress prison turned elegant brasserie where during summer guests dine al fresco. 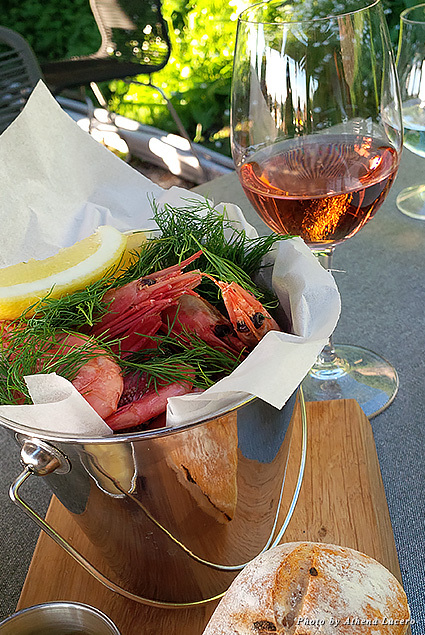 I was prisoner only to the utterly romantic view of the fjord, a glass of wine, and a bucket full of succulent shrimp that I ate the Norwegian way—with a crunchy baguette and aioli—peeling one crustacean at a time. 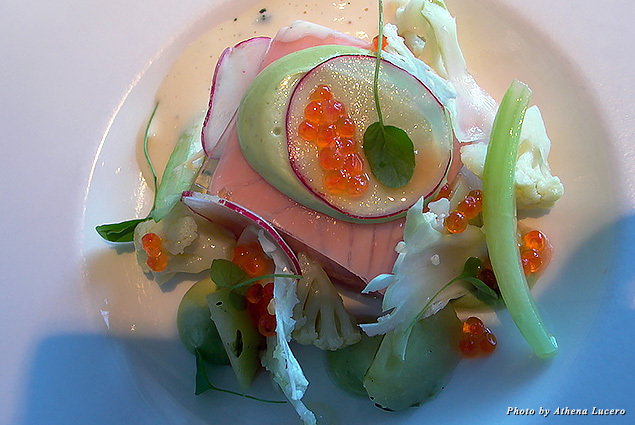 When in Norway, eat seafood to your heart’s content because it’s abundant and healthy. 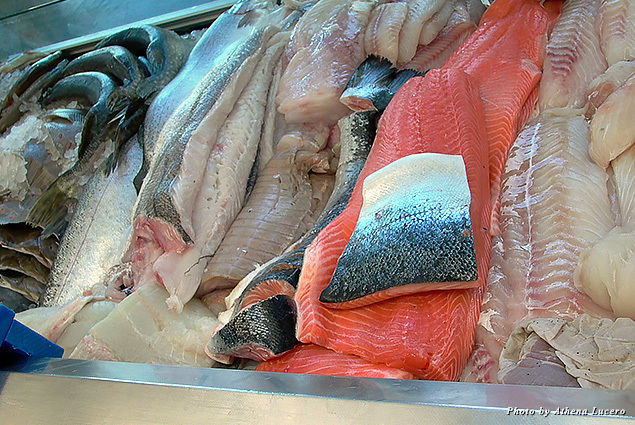 The cold and clean Arctic waters allow fish (Arctic cod, stockfish, salmon, mackerel, herring, trout) and shellfish (lobster, crab, mussels, scallops, shrimp, oysters) to grow slowly, developing flesh full with flavor and rich with nutrients good for the heart, brain, and bones. No wonder studies show Norwegians are the healthiest (and ranked No. 2 as the happiest) people in the world. Norwegians have a high standard of what they are willing to eat (there’s not a lot of fast food here) because the best quality fish, meat, game, root vegetables, and berries have grown in their own backyard since forever. Another Oslo landmark, Ekeberg Restaurant opened in 1916. Set on a forested hill overlooking the fjord and the city, the restaurant is still a foodie haven and the building (remodeled in 1929) is renowned for its Scandinavian functionalism design. Inside the glass-walled dining room chef Tore Aspas prepared my three-course meal, delicately updating time-honored dishes with modern herbs and local seasonal ingredients. I dined on white asparagus soup flavored with chives, delicate pieces of Norwegian ham, and the tang of Roquefort cheese and an entrée of tender veal resting on cabbage sautéed in butter beside potatoes cooked with garlic then shaped into squares and a single smoked cherry tomato exploding with flavor. Dessert was hints of the tropics: mango and banana sorbet, strawberry mousse, almond crumble, and apricot purée. The restaurant’s unique location is on the fringe of Ekeberg Sculpture Park, aka “The People’s Park.” In 2013, this outdoor gallery in the woods opened with more than 30 exquisite sculptures by masters and contemporary artists for the enjoyment by Oslo citizens and visitors (admission is free). My journey west to Flam took six hours and two trains: the Bergen Line, the highest railway in northern Europe, and the Flam Railway, Europe’s steepest. Time flew. Climbing mountains, zipping through tunnels, and crossing bridges, then a final descent into Flam was nothing short of breathtaking. A village of 400 inhabitants, Flam sits at the end of a fjord. Cruise ships and trains converge at this tiny terminal in the wilderness, as it is the launch site for fjord excursions. In the tiny inlet my room for the night was at the modern and rustic Hotel Flamsbrygga, also home to the award-winning Aegir Brewery & Pub designed in the Viking style, complete with dragon heads, dim lighting, and a fire blazing in the huge hearth. I took a table, made a toast to the gastronomic gods, and dove into the Viking Plank—a clever tasting of five beers and five Viking-inspired dishes served tapas style, including lobster, mussels, smoked reindeer with lingonberries, Viking stew of salmon and mussels with tomatoes and mild spices, pork shank, and for dessert a rustic “cake” of cooked sliced apples and strawberries on a skewer. 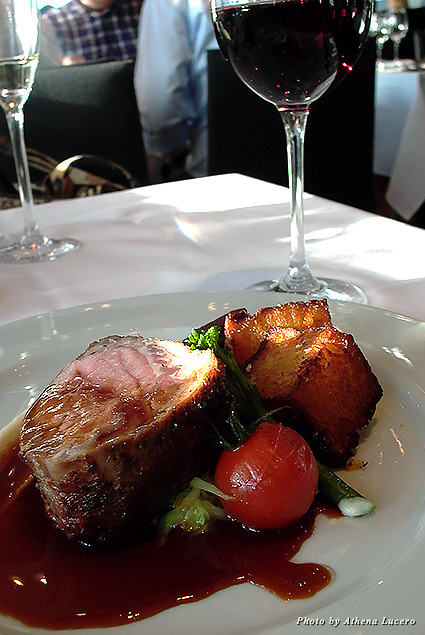 That was my introduction to low-fat reindeer meat, which was tender and flavorful, like venison. “Reindeer is a common meat in Norway,” explained my server. When dried it can be stored for many months and is considered a delicacy. Thousands of reindeer are domesticated and graze freely in the northern part of the country inside the Arctic Circle. Reindeer herding and husbandry has been the livelihood of the indigenous Sami people for centuries. Today, Norwegian law preserves these cultural traditions by allowing herding by only by the semi-nomadic Sami. We disembarked in the village of Gudvangen and I journeyed by coach to the city life of Bergen and Stavanger on the west coast. Bergen, founded in the 11th century, was Norway’s first capital and flourishes with culture—a university, art galleries, museums, an exciting music scene, and its historic Fish Market. Today, it’s the second largest city (population 273,000) and as vibrant as its heyday when fishing was a major trade during the Middle Ages and Bergen played an important role in the powerful Hanseatic League. Its ancient wharf Bryggen has been preserved and designated a World Heritage Site. When a chef and his crew forage the fjords for the freshest seafood possible, be ready for an extraordinary dining experience. 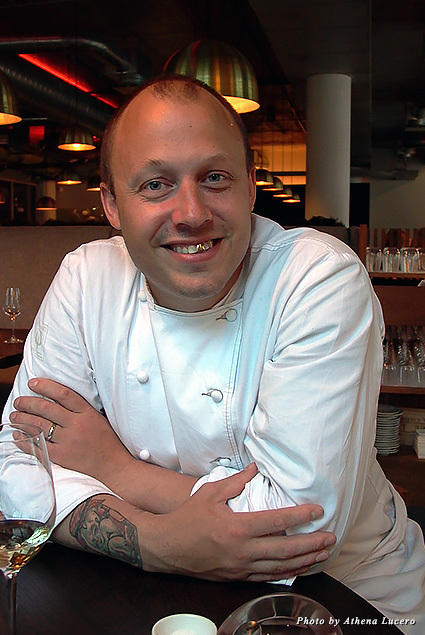 At Lysverket Restaurant, chef and owner Christopher Haatuft does just that. 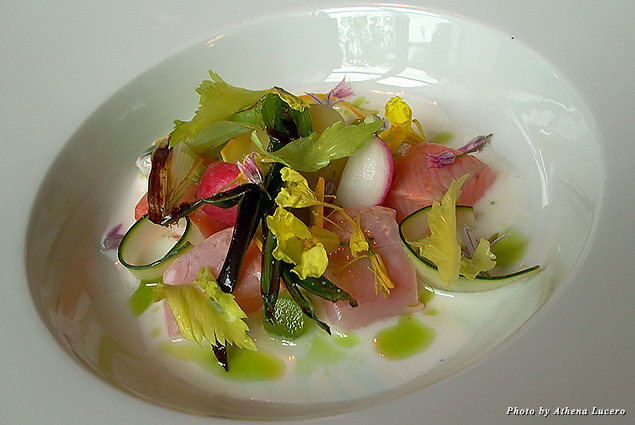 Located next to the lake at the Bergen Art Museum, the star on the menu is the ocean’s bounty. “We have one of the world’s longest shorelines and an endless supply of fish,” said Haatuft. “The best cod in the world is here and we have the most sustainable cod industry.” And, without too much pomp and circumstance or transformation, he uses the robust flavors of just-picked herbs—and his imagination—to make dishes rock. My six-course tasting was an odyssey—seaweed bread with smoked mackerel butter, ceviche of mountain trout, carrot-themed langoustine, meaty and flaky redfish with bouillabaisse soup, organic chicken (from a farm one mile away) with baked artichoke cake. Dessert was all about strawberries: dried, confit, and ice cream with lemon curd crumble and (surprise!) basil that stole the show. Lysverket had just been open a year, but it did not surprise me to see its early success. Chef Haatuft previously cooked for the Norwegian Ambassador in Paris and in New York’s finest kitchens—Blue Hill at Stone Barns and Per Se. He brings to his native Bergen a restaurant for locals and visitors to enjoy dishes inspired by his passion to share the harvest from Norway’s most plentiful food source—the sea. Up the hill in a residential neighborhood near Bergen University—and close to my lodging, the (ingenious) Basic Hotel—chef and owner Hanne Frosta creates slow food dishes at Hanne pa Hoyden (Hanne on the Hill). Herbs grown in the backyard, handcrafted honey (she keeps a beehive in the “Queen’s Room”), and fruit- and vegetable-based wines are the hallmarks of sustainability—the philosophy behind New Norwegian cuisine. Hoyden scours the nearby mountains and forests for wild edible flowers and herbs that packed flavor into my lunch of crispy oat-whipped sour cream with dried cod row and ramson flower; pork neck with smoked carrot purée, spring garlic, and apple sauce; and oxtail terrine with cuckoo flower oil and chive flowers. Just an hour flight south of Bergen, Stavanger was another major port city during the height of Norway’s fishing trade. But when oil was discovered off its shores in the late 1960s it became the No. 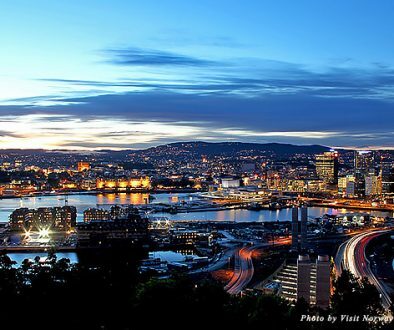 1 export, ranking Norway as the oil capital of Europe. The spirit of Stavanger’s prolific fishing history is remembered at its Canning Museum and lives on at the Fisketorget (Fish Market Restaurant), the city’s most exclusive fish market where the catch is as good as it gets. Stavanger is also home to the Gastronomisk Institutt (Culinary Institute) where top chefs from around the world take master classes to sharpen their craft in the use of Norwegian ingredients and preparation of the finest fish and seafood. By the time I sat for dinner at Tango Bar and Kitchen, near the fish market and a walk down the hill from where I was staying at the very smart Comfort Hotel Square, my Norwegian food safari kept me captive for the next inventive take on Nordic standards. This included chef Tony Martin’s Caesar salad bites with pork cracklings, baked cod with foam of cabbage, a salmon salad worthy of a still life painting, a cleanser slush of apple and pine sprouts, and grilled sirloin of ox with smoked bone marrow mayo. At Restaurant Hall Toll (the old customs house) on the harbor I chatted with chef Sebastian Patruno as I finished off his creation of the silkiest potato purée served alongside veal culotte with a confetti of zucchini, capers, chives, and red bell peppers and garnished with paper-thin bands of crunchy celery. 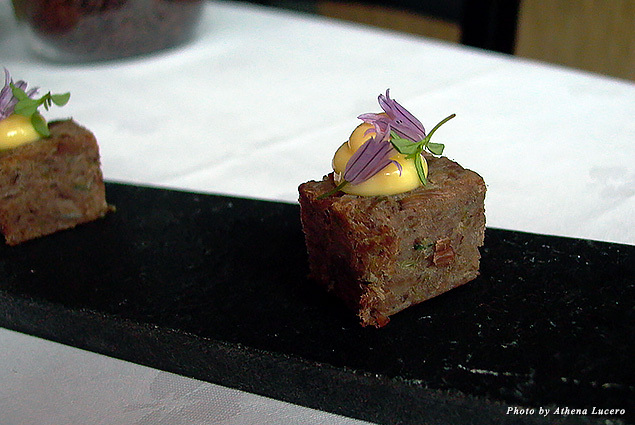 “Nordic chefs win many awards because they create outside the culinary box,” Patruno explained. 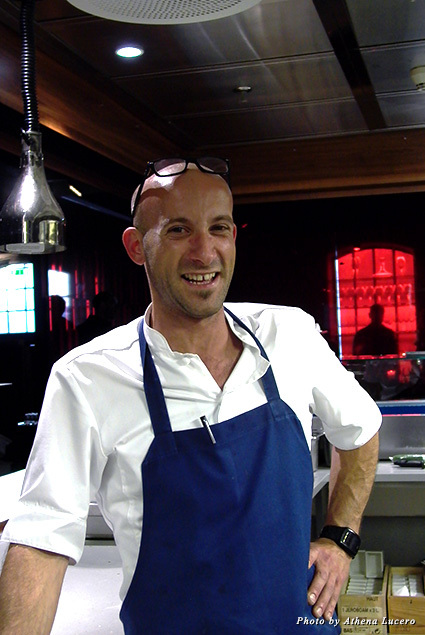 He noted Denmark’s Noma, which was first voted World’s Best Restaurant in 2010 (and three more times since, including in 2014) and blazed the culinary trail for Scandinavia. And, as the chefs of Norway and around Scandinavia have drawn attention to their region’s modern cuisine, revered restaurant evaluator Michelin Guide has been taking note. In February 2015, it launched—for the first time—a new Nordic edition.